Insafe are proud to be a Specialist Partner of Aviva Insurance. Insafe’s Private Client Service for Aviva Customers means certified and guaranteed insurance approved protection. Insafe is a Specialist Partner of Aviva Insurance. Exclusive to customers referred by Aviva, our Private Client Service is designed to give you the very best. The best security, the best products and the best service. And the best price. Guaranteed. All of our safes are approved by the AiS, The Association of Insurance Surveyors, a respected body of risk control experts working in the UK insurance market. Only safes that have been fully tested and certified by independent testing houses will gain an AiS certificate. Rest assured, you’re safe with us. When you order a safe from Insafe we can liaise with Aviva Insurance to ensure that your safe will be fully approved. UK Delivery, Installation and 24 Hour Service. Our installation teams, equipped with specialist vehicles, cranes and equipment install all grades, sizes and weights of safe to any UK and European location, anywhere within your premises. Our UK wide Safe Engineers and Master Locksmiths provide a 24 hour service. From enquiry to consultation, quotation to order, survey to delivery, installation and commissioning – the service we provide is tailored to you. Whilst you may be buying just one safe, for us your insurers referral comes with a VIP tag and we have agreed very special discounts with the majority of them. Referrals are good for us, VIP service is good for Aviva and it’s good for you too. It’s a win win win deal. Plus, we offer a Free Safe Identification, Valuation and Rating Service – it’s all part of the service. 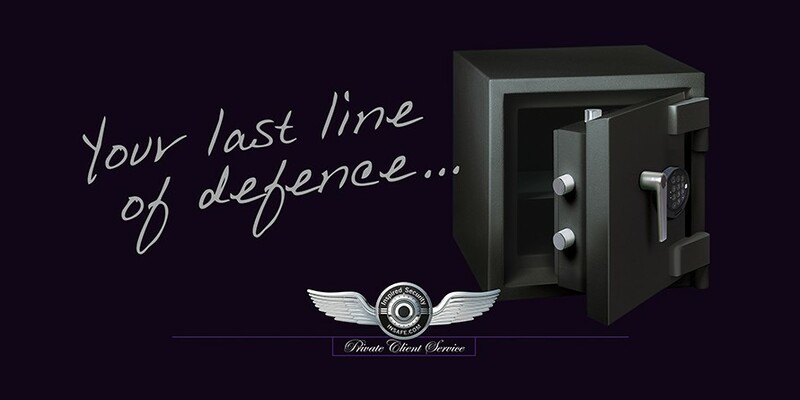 For those that like to invest in the finer things in life our designer safe range are made to meet your exacting standards. With bespoke styling options, finger-print locking, internal LED lighting, watch winders and so much more they are a beautifully secure safe. 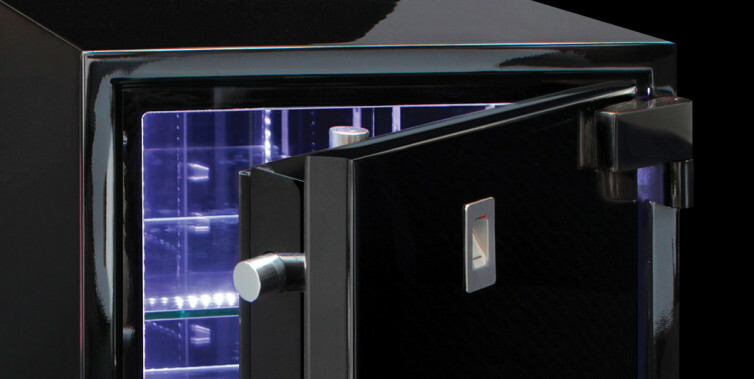 Finishes including glass, brushed metal, leather and supplied in high shine colour options create a range of safes that really offer something truly special. Love Letters and Your Last Line of Defence. Safes are important. Selecting the right safe is very important. That’s why Insafe’s Private Client & Insurance Liaison Service is here to help. Money and passports can be replaced, but your Grandfather’s Pocket Watch, your Mother’s Pearls, Old Love Letters or Baby’s First Tooth are priceless one-offs. Safes continued to protect cash and valuables even during the London riots where alarms, CCTV and even lines of Police could not.